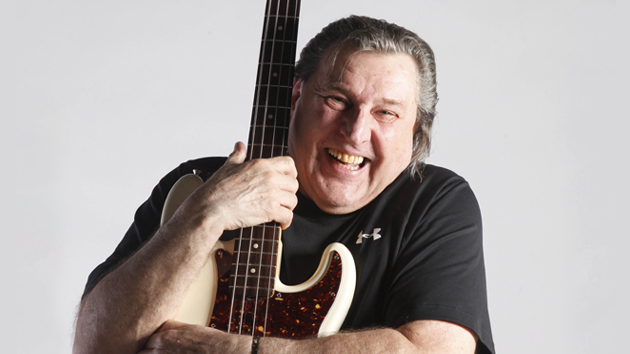 This Tuesday we pay tribute to bassist Bob Babbitt, who passed away on July 16, 2012. Bob was a member of the “Funk Brothers” – Motown’s studio band who, while relatively unknown, played on more number 1 hits than the Beach Boys, the Rolling Stones, Elvis and the Beatles COMBINED. The Funk Brothers were the subject of an outstanding documentary film titled “Standing In The Shadows Of Motown.” You can watch the full length movie below. I’d also recommend picking up the DVD from Amazon, it’s that good. It’s a very compelling story, and one of those movies you can watch again and again. Over the past four decades, Bob Babbitt has transcended the supportive, background role of electric bassist to become an institution, an icon of the groove so to speak. As a major role player in the Detroit, Philadelphia, New York and Nashville recording scene from the 1960’s through the 1990’s, Bob’s bass lines have graced over 200 Top 40 hits. To date, over 100,000,000 recordings featuring Bob’s bass artistry have been sold, including landmark recordings like: Marvin Gaye’s “Mercy Mercy Me” and “Inner City Blues”. Stevie Wonder’s “Signed, Sealed and Delivered”. Gladys Knight’s “Midnight Train To Georgia”. Smokey Robinson’s “Tears Of A Clown”. Diana Ross’ “Touch Me In The Morning”. The Spinners’, “Rubber Band Man”. The Capitols’ “Cool Jerk”, Edwin Starr’s “War”. Gloria Gaynor’s “Never Can Say Goodbye”. Robert Palmer’s “Every Kind Of People”, and Barry Manilow’s “Ready To Take A Chance”. That Philadelphia engineer’s ears were right on target. Bob Babbitt was never just “any bass player”. I haven’t talked about it much (if any) here, but I’ve always been a fan of the “Motown” sound. My fondness for this music probably stems from it’s bass-centric style. Bob Babbitt (and his Funk Brother predecessor James Jamerson) are responsible for countless hours of musical joy! Bummer, I just watched this guy playing with Phil Collins doing Motown tunes this past week end on TV. They showcased a couple of his original bass lines that he invented for several huge hits at the time. RIP, Bob!